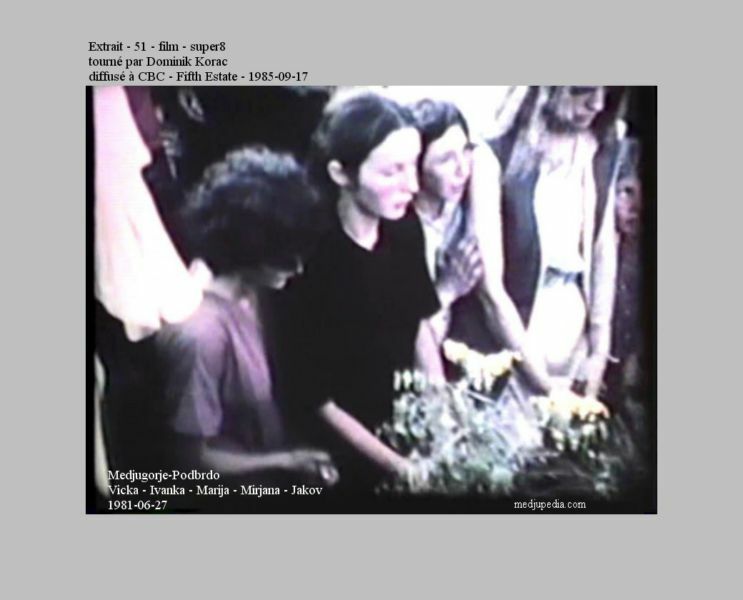 June 25th, 1981 : the second “encounter” between the Lady of Medjugorje” and Ivanka Ivankovic (15) accompanied by Mirjana Dragicevic (16), Vicka Ivankovic (16), Marija Pavlovic (16) and Jakov Colo (10) is taking place at the end of the afternoon. Ivanka decides to go back to the place where she saw a white silhouette the day before. a sign on Mirjana’s watch. 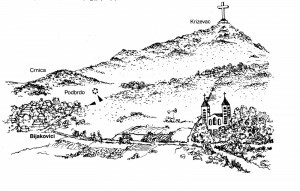 The so-called messages and sign of the “Lady of Medjugorje” begin to take form on the second day of the Medjugorje events. It is important for the reader to know more about our primary sources and our position. 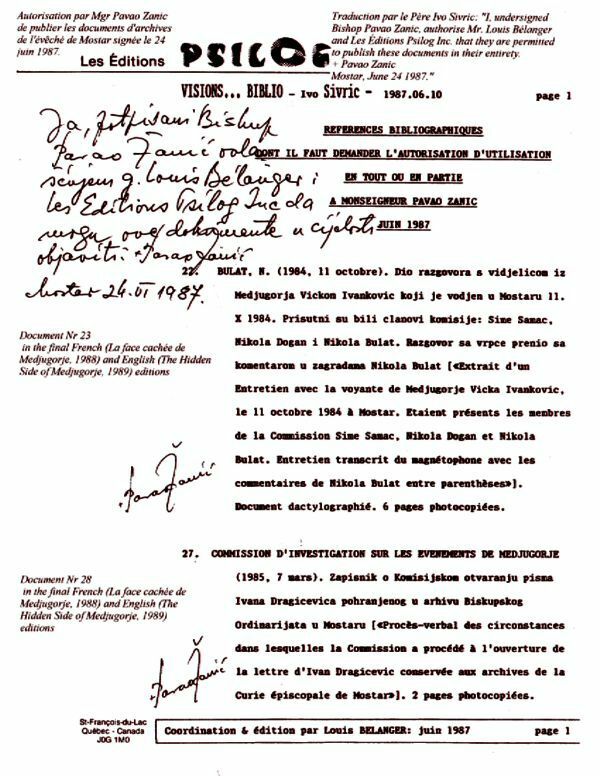 → Are our primary sources authentic? → Are our transcriptions reliable? 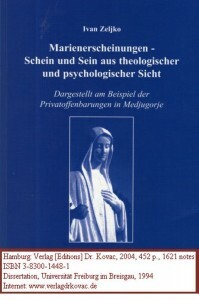 Ivan Zeljko, a theologian and psychologist whose mother tongue is Croatian also paid an hommage to our work in his doctoral thesis in theology (452 pages, 1621 notes) published in 2004: Marienerscheinungen – Schein und Sein aus theologischer und psychologischer Sicht – Dargestellt am Beispiel der Privatoffenbarungen in Medjugorje. 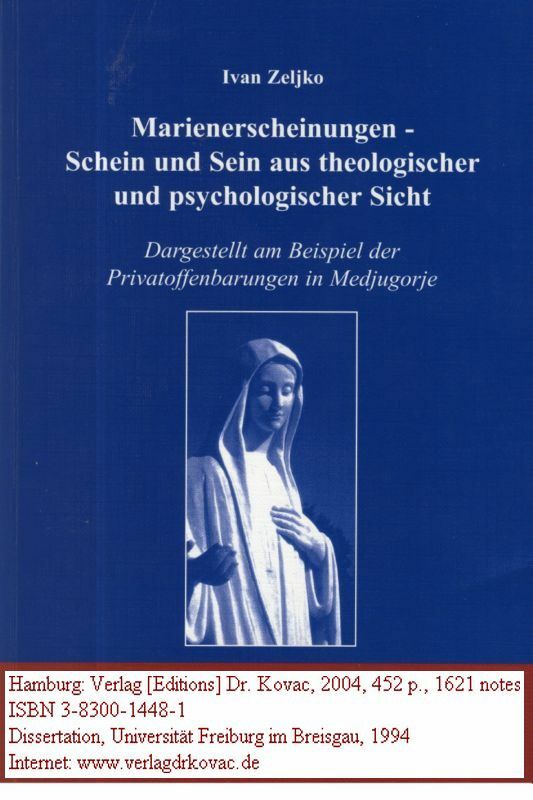 Thanks to the tools developed by disciplines I am more familiar with such as psychology, electrophysiology, socio-politology, I have tried to reconstruct the first minutes of Medjugorje’s events in their proper context and discern the stakes that permitted their continuation. The main protagonist of the first days is Ivanka Ivankovic. She was in grief by her mother’s sudden death due to an attack of bronchial asthma, on April 1981, at the age of 39. The grief was enhanced by the fact that her mother died alone. 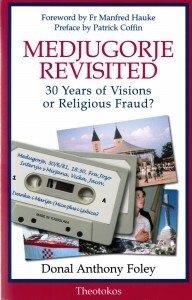 The Medjugorje events began three days after her 15th birthday. Ivanka is the first to have named the Gospa. 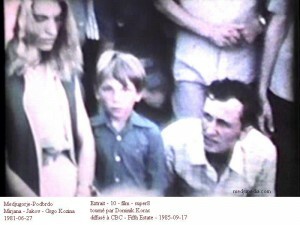 She was accompanied by Mirjana Dragicevic who didn’t feel the need to look at the Podbrdo, thereby confirming her “imperience”, or the profound inner experience of a grieving adolescent. To my knowledge, no member of the pastoral personal took into account those crucial psycho-affective dynamics. If there is something authentic at the beginning of the events, it is surely that spontaneous appeal to a spiritual substitute of her earthly mother. The following day, Ivanka is again the first to see the entity she names the Gospa. She inquires about her mother and even hopes to see her. She said later on that she saw her deceased mother four times until the ultimate daily “apparition” on May 7th, 1985. Because of those personal events of outstanding importance, the meticulous analyst should refrain from pretending that fraud presided to the creation of the event. 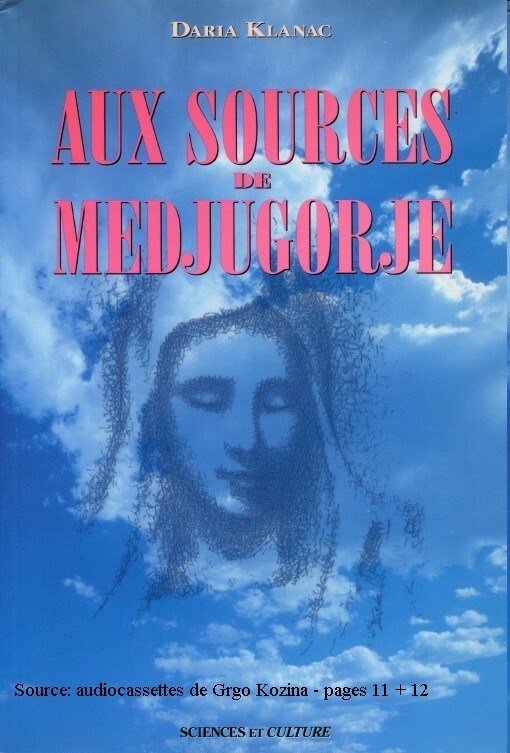 I want to clarify straightaway what I mean by using the expression “Lady of Medjugorje”. It does not refer to the Virgin Mary, the important spiritual figure whose qualities have been acknowledged and specified by the Catholic Church over the centuries. 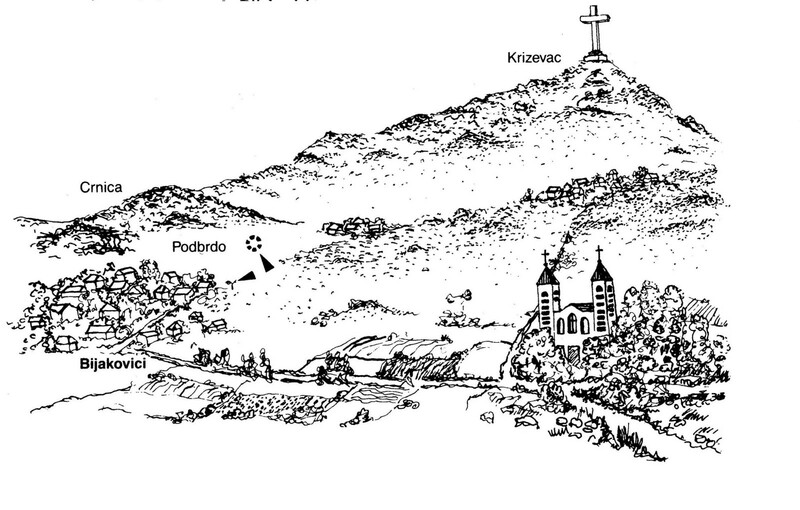 The Lady of Medjugorje (LoM), according to my perception, is the product of a collective construction initiated by Ivanka Ivankovic, on June 24th 1981, shaped first by the visionaries and later by the Croatian pastoral personnel of St. James parish who, to a certain extent, controlled her image and messages communicated worldwide. Those are continuing to be her fervent zealots. which does not involve the Virgin Mary or Gospa, as Croats call Her, whose birthday is celebrated today, and who is not the target of my working hypothesis. – Ivanka inquires about her deceased mother and hears from the LoM that she is well. 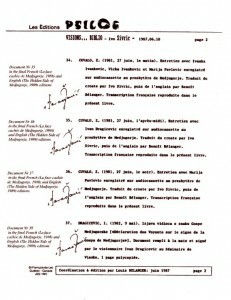 While preparing the “Mystery” in the making…, it seemed to me so interesting to analyse what the main propagandists have made out of those observations that I decided to initiate a new series of articles entitled: Medjugorje – the devil lies in the details… that will identify and examine the “details” I find significant. The said observations concerning the second day will be treated in the first post of the new series, hopefully next week. I no longer believe in the authenticity of these apparitions at Medjugorje. It is spiritually unhealthy to keep going year after year to these places when we as Catholics already have Jesus with us in the Holy Eucharist in the tabernacle in our Churches. He is often left alone, and yet many people spend much money to go to these places of presumed apparitions when there is no need. Many of my old Medj colleagues also no longer have any interest. We need to return to basics, prayer, our Catechesis, receive the Sacraments regularly and listen to the Holy Father and the teachings of the Church. I just can’t believe how can people believe in the alleged apparitions of Medj. without first researching it thoroughly. Especially when the alleged seers seem unable to keep the truth going on for long before they mix it up with some lie, or confuse it even more when they say one thing and then they say another. I have read that article on Kresimir Sego’s book A Conversation with the Visionaries. 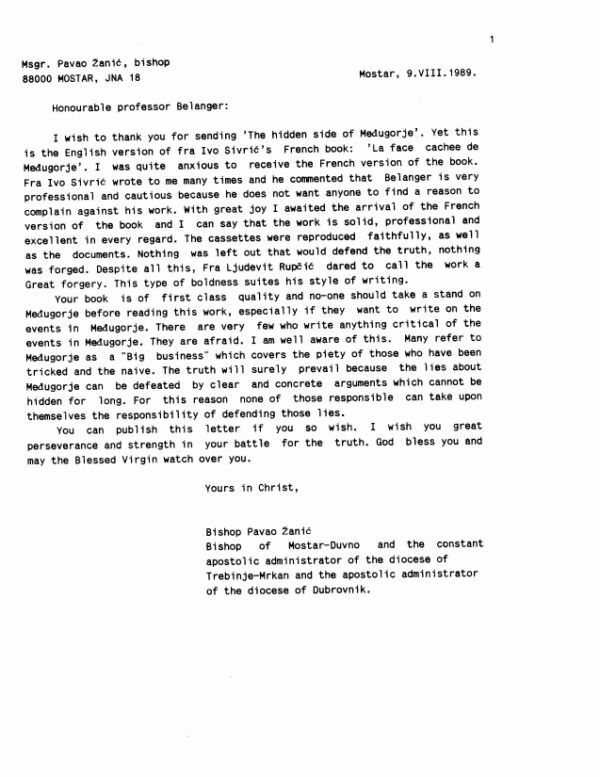 I have not read the book but I know that Mr. Sego is a Medjugorje messenger/propagandist since two decades — see the reproduction of an interview conducted by “Fra” Kresimir Sego with Vicka Ivankovic in 1996 here. 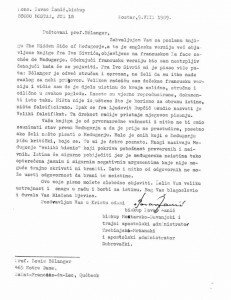 We know already that numerous events announced by the visionaries did not happen — the most important of them being the announcement, on the seventh day (1981-06-30) that the Lady of Medjugorje would make her last apparition on the tenth day (1981-07-03), which they confirmed to witnesses on that precise day (The Hidden Side of Medjugorje, p. 63-69). 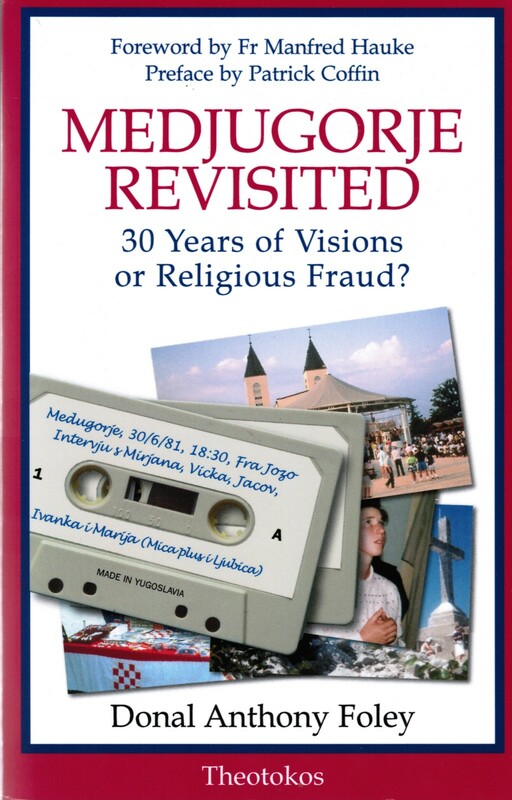 According to the visionaries, the Lady of Medjugorje is still appearing daily to some of them, 30 years after that capital “revelation”. 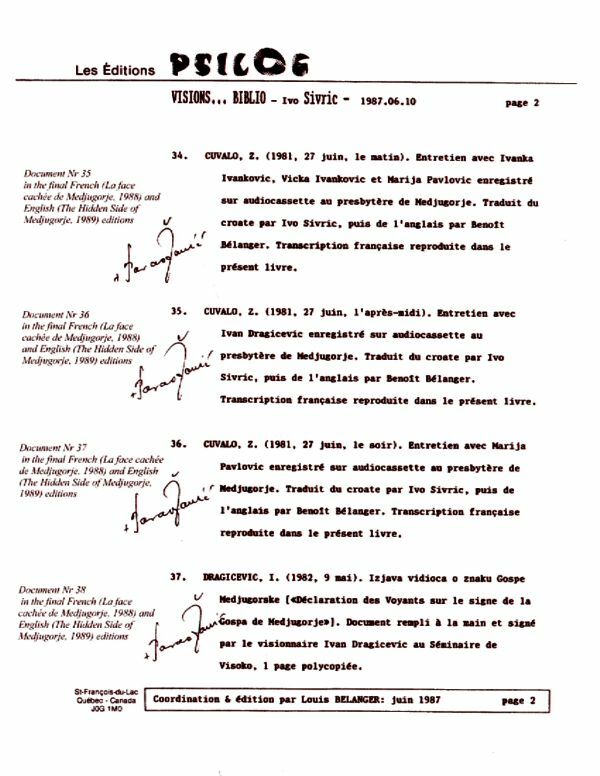 Did you read about the seers of the alleged apparition of Medj. 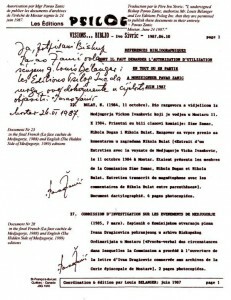 saying that the Church will approve the alleged apparition only after they stop and when all the visionaries are dead? I remember that their claim used to be that the Church will approve of the alleged apparitions of Medj. when the secrets begin to unfold and that they were supposed to come true during the lifetime of the visionaries. 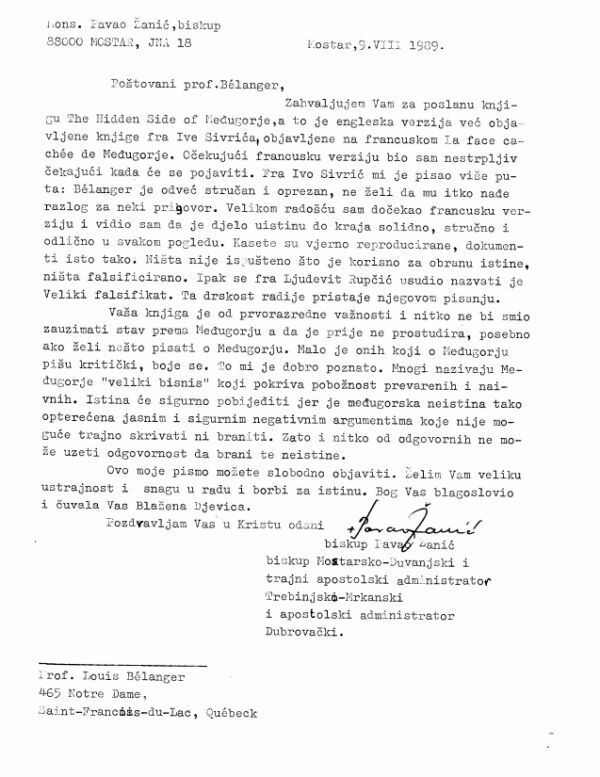 I read the recent article of their supposed interview from “Medjugorje today” site. I also thank you for your work and look forward to future installments. I think it matters a great deal to examine the truth about this, in charity. 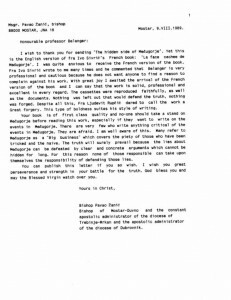 In a precedent post where I pointed to Marco Corvaglia’s article, I reproduced a part of the flyer you just gave the link to and added the email coordinates of Mr. Boyle. A quick search reveals that Mr. Boyle is a staff member of the “Campaign for Catholic Schools” as “Development officer” for Greater Boston. I am highly puzzled by the fact that the maintained negative verdict and the pastoral directive attached to it are openly defied since a quarter of a century. for the diocese and quite publicly solicits these junkets. any criticism of the phenomenon is ‘evil’. I think your analysis is much needed and long over due. South America and all across the U.S.